Over the years I’ve been asked by a lot of people how they can be more successful in building relationships on social channels. And the one thing that keeps coming to the surface is the importance of being “present” when you’re talking to someone. You know how it is when you meet someone at a conference or in a networking situation and they’re constantly looking around the room to see who else is there, or they’re looking at their watch, or anywhere except at you? Those signals mean they aren’t really “present” in the conversation, so there is no true connection. The same principles apply to online relationships, so I’m a big proponent of doing what I call… Looking People in the Eye Digitally, as well as personally. Introductions and ongoing relationships in social platforms require the same personal attention as the human touch and eye contact in a physical relationship. The last few decades of marketing tactics have made us lazy communicators. Most often we don’t even pay attention to who we are talking to other than via the data we collect (and even that’s a maybe). 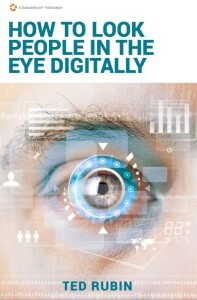 2015 and 2016 need to be the years of doing what I call… Looking People in the Eye Digitally. In order to fix the problem with engagement and really start to benefit from social relationships (both as individuals and as companies), we need to start treating digital a lot more like we treat face-to-face interactions. We don’t need to fit our world to digital, we need to fit digital to our world. I have been evangelizing and writing about Return on Relationship since early 2009, and throughout that process I have been talking a lot about how to connect, the importance of engagement, and telling everyone they should read the book How to Win Friends and Influence People by Dale Carnegie. I thought a lot about the lessons my Dad taught me early on about how to connect with people and always be sure to look them in the eye when talking to them. Next thing you know I am coining the phrase “Look People in the Eye Digitally.” It made sense to people and I ran with it. I want people to realize there is more to making a friend, and building a relationship, than clicking a button. Facebook has done an amazing thing – they own the word “friend”. The problem is that they have devalued the word while adding value to their brand. Let’s take back the word “friend” and fill it with value again! I am a Social Marketing Strategist, Keynote Speaker, Brand Evangelist, and Acting CMO of Brand Innovators. 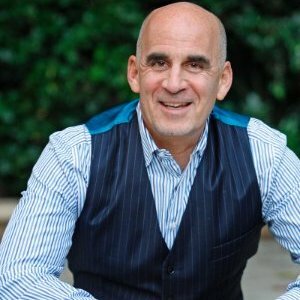 In March 2009 I started using and evangelizing the term ROR, Return on Relationship, hashtag #RonR, and use it to educate companies, brands, and people about the importance of creating authentic connection, interaction, and engagement. Many people in the marketing, business, and blogging world know me for my enthusiastic, energetic and undeniably personal connection to people. Q: What are 1-3 books that inspired your work? How to Win Friends & Influence People by Dale Carnegie – Taught me the value of truly connecting with people by valuing, and making it about, them. Permission Marketing: Turning Strangers into Friends and Friends into Customers by Seth Godin – Opened my eyes to the new world of connected, relationship, marketing (the fact that I was working at Seth’s start-up, Yoyodyne, at the time he wrote this played a big part. Swim with the Sharks by Harvey Mackay – Best sales book I ever read. Inspired me when still in sales before I made the transition to marketing. My natural state is being shy. You would not know it once we are friends, but as a kid, and even today, have to push myself to enter a room of people I do not know. For me It’s All About Relationships! Relationships are like muscle tissue… the more they are engaged, the stronger and more valuable they become. #NoLetUp!